Today is International Stop Food Waste Day, which is all about educating and igniting change in consumers and businesses, in order to tackle the global food waste epidemic that we’re currently facing. According to WRAP, the government’s waste reduction body, 1.9 million tonnes of food is wasted by the food industry every year in the UK, a massive 1.1 million of which is avoidable. Furthermore, 250,000 tonnes of the food that goes to waste each year is still edible. The need to stop food waste is clearly dire, and thanks to a WRAP’s Food Waste Reduction Roadmap, large food businesses including many major retailers are pledging to halve the UK’s food waste bill by 2030. Additionally, more and more brands are popping up that aim to address the issue in innovative ways. Here we list our five favourite companies that are doing just that. On a mission to make sure good food doesn’t go to waste, FareShare take tens of thousands of tonnes of surplus food from the food industry and redistribute it across 1,500 towns and cities across the UK. In 2013 ASDA teamed up with FareShare to introduce an operational process to divert surplus products at depot level to people in need, and last year alone the charity redistributed enough food for 36.7 million meals. When a group of tech-savvy entrepreneurs around Europe were confronted with the shocking reality of how much food gets wasted every day, they decided to join forces and created Too Good To Go in June 2016. It’s an app that allows everyone to do their bit to reduce food waste – vendors and restaurants who have perfectly good leftover food at the end of the day can sell it to other users, who pay by the app and collect it. So far, the business has created an impressive community of 576,000 ‘Waste Warriors’, who together have saved over 523,000 meals from being sent to landfill. Innovative condiments brand Rubies in the Rubble make all their products from ingredients that would otherwise go to waste, not because they are unfit for consumption, but simply because they are the wrong shape, size or colour. Founder Jenny Costa found it unacceptable that so many people are starving in developing countries, while in wealthy countries we throw away delicious, in-date food just because it doesn’t meet retailers’ aesthetic requirements. Out of this came an idea: create chutneys, jams, and preserves from all the excess produce. The business is now an award-winning brand, stocked in supermarkets and delis across the UK. Food Cycle is a community-focused charity that supports people who are hungry and lonely by serving tasty lunches and dinners every single day in towns and cities across the country. It targets vulnerable communities by reducing food waste, reducing food poverty and training volunteers. Everything the volunteers collect is surplus food that would otherwise have gone to waste. So far, they have saved 270 tonnes of surplus food, which they have used to serve over 250,000 meals to people in need. Social enterprise FoodCloud is a retailer app that currently helps over 7,500 charitable groups get surplus food in the UK and Ireland. Supermarkets and food stores with leftovers scan descriptions of their excess food into the app, letting local charities who are registered on the app know it’s available for collection. The company has so far helped to ensure 45 million meals have gone to people and not to waste, which equates to over 20,000 tonnes of food and over 65,000 tonnes of CO² in carbon savings. 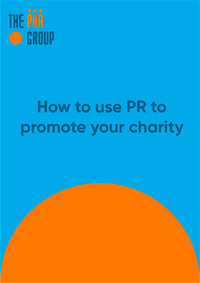 If you’re a charity or organisation who wants to spread the word about the work you do, take a look at our third sector PR services. With extensive experience in creating stand-out campaigns that drive awareness and boost donations, we know how to take your cause to the next level. Get in touch today. From lawsuits and ‘forced hugging’ allegations to problems with the new boss, the last few months have seen several founders departing from their brands, and not always out of choice. Here’s a roundup of some of the biggest company break-ups that have shaken the boardroom of late. In what is proving to be the bout of 2019 in the British business world, the founder of British retail chain Superdry, Julian Dunkerton, has gone head-to-head with those who replaced him, fighting it out to get back his seat at the top management table. Superdry’s public relations machine has gone into overdrive to paint Dunkerton as responsible for their underperforming clothing ranges, with the high street brand’s share price nosediving over the past year as they fight it out in the column inches. The board are due to vote in April for changes and it will remain to be seen if Dunkerton’s return will be heroic or instead, a failed coup. Allegations surfaced towards the end of 2018 that the Chief Executive and founder of fashion brand Ted Baker, Ray Kelvin, had enforced a culture of “forced hugging” and inappropriate behaviour with staff at his head office. Kelvin, who famously does not like to be interviewed or have his photograph taken, was given an enforced leave of absence by the company as an independent investigation was conducted by external law firm Herbert Smith Freehills. To have such a scandal on your own doorstep especially in this tough retail climate is not ideal and Ted Baker have tried to act swiftly. Acting Chief Executive Lindsay Page has agreed to take the reins at the company as the probe continues to focus on Ted Baker’s policies, procedures and handling of complaints. Of course, the brand damage the entire affair has caused is hard to mend, but without Kelvin at the helm after three decades, it’s all change at the top of Ted. “I lost my best friend” is how the founder of her namesake cosmetics brand now describes walking away from the company she founded, when it was sold to behemoth Estee Lauder in 2006. When discussing her decision to leave the brand she’d created from the kitchen of her Chelsea flat aged 15, she spoke about employment anxiety after a contract installed on her departure stated she could not speak about the brand or raise her head about the parapet for five years. Many founders who are the creative force behind the brands they establish often speak about the difficulties they encounter on leaving the company. Much like any break-up, the idea that they will be cast-off and expected to ride off into the distance with their bags of money irk many. Equally, the notion of getting their teeth into a new venture that could well fail and separate themselves from their previous company often proves difficult. Jo Malone’s newest venture Jo Loves is now thriving in Belgravia and has become her “new best friend”. The co-founders of photo-sharing giant Instagram, Kevin Systrom and Mike Krieger, both left the firm at the end of September 2018. The duo had been at Instagram since the beginning and there had been reports of tension between the pair and Facebook after the social media giant purchased the company. Recently at SXSW in Austin, TX, Systrom said that losing independence over the app they had created was ultimately a sign of its success. He added that the more investment you put into recruitment and bringing more and more skilled workers into the company, the less autonomy you have. The pair have now left to “explore our curiosity and creativity again”. Papa John’s has struck a deal with its founder John Schnatter, in a move that should help draw a line under the acrimonious battle for control of America’s third-largest pizza delivery chain. Under the terms of the agreement, Mr Schnatter has agreed to give up his seat on the board and drop lawsuits against the company in return for getting a say in identifying a replacement director. The man who set up Papa John’s in 1984 has been back and forth in legal action with the company over the course of the past year. This emerged after he was refused access to the company’s records due to an issue over the language he used on a teleconference call with an external agency. Now that Schantter will get his voice heard by the board, he is happy to drop all existing lawsuits and he still retains his 31% stake in the pizza giant. Saying goodbye to a company you’ve created from nothing is never easy, and only time can tell whether making that decision will prove fruitful for both the business and your personal reputation. 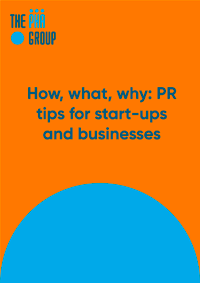 Having a solid PR strategy when moving on from a brand you’ve built is crucial and can be the difference between an amicable departure and a bruised reputation. If you think you could benefit from an enhanced public standing, or have a need to manage your online profile, The PHA Group can help. Take a look at some of our credentials here. Healthy and happy work relationships are important to us at The PHA Group as our people are at the heart of what we do here. Any business that doesn’t understand how vital good working relationships are ignoring it at their peril. Our culture and people are what make PHA a great place to work – we are a collaborative and entrepreneurial team where everyone is unique and valued for their individuality. We begin building these relationships before our new starters join us. They are given the opportunity to meet their team and are sent their induction programme which sets out all the meetings arranged for them across the agency in their first week. They are also given a ‘buddy’ who will take them out for coffee and chat through what it’s like working at PHA and answer any questions they may have. At PHA, it’s so important for new starters to feel at ease and start their career here feeling welcomed. Mentoring is an increasingly popular way to provide guidance and support to colleagues and our scheme supports and encourages the mentee to develop their knowledge, their skills and their confidence. It’s a supportive, one-to-one relationship, where the mentor acts as a sounding board and encourages the mentee to clarify their thoughts and feelings, helping them to achieve their goals. Another way we encourage relationships to evolve is through social events hosted by PHA. Hit of the Month celebrates individual and team successes of the past month and is a great way to bring everyone together in a social environment. We also have a ‘team treat’ twice a year, where teams choose a social event to do together away from the office, such as ten-pin bowling, curling or gin tasting. The people at PHA are the DNA of our business. We are proud to encourage initiatives that champion and foster a close-knit community – employees who connect and engage with each other deliver the best results. With the dust settling on London Blockchain Week, we take a closer look at some of the keynote speakers from the event that we enjoyed the most. Known for his serial entrepreneurship who initially made his mark in blockchain back in 2015 when he created insurance smart contracts that could operate without the need of a carrier. Ridyard went on to co-found Surematics, a decentralized data room that brokers could use to communicate and negotiate terms, share documents, and agree on deals. Speaking at London Blockchain Week this year, Piers is currently CEO of Radix. A speedy, scalable alternative to blockchain who’s aims are to provide developers with the best tools to build and deploy a decentralized application, tokens and coins. A fast, simple limitless ledger. With over 20 years of enterprise and developer experience, as well as becoming a recent startup founder, it is no surprise that Adi is consistently invited to speak at major industry conferences. Not only is he currently the Founder and CEO of Applied Blockchain (a group of technologists building blockchain solutions for enterprises), but he is also co-founder of Tallysticks (a company specialising in the negotiations and managing of imports and exports). Adi also acts as an advisor for several blockchain start-ups. One of Adi’s biggest accomplishments to date is his invitation by the Government to represent his industry in the All-Party Parliamentary Group and House of Lords round table. Lisa who is Australian based has an extensive and impressive list of accolades. She is a visionary, thought leader, and transformational strategist with years of experience in her field. Empowering women to advance in their industry by developing their business leadership qualities is one of her passions, as she has made a name for herself as someone constantly striving to make positive, sustainable changes. Leading the victorious team in 2018 London Fintech Week Hackathon, founding numerous global initiatives, and becoming a regular international presenter and commentator are just some of Lisa’s stand out moments in her career to date. Argentine Fintech entrepreneur Guido started his career in the banking world and hasn’t stopped evolving since. Founding SeSocio.com and subsequently Investoland, which provides smart contract solutions for investments are two of his businesses to date. His companies have benefitted from his outstanding leadership and management skills and continue to make waves in the industry. Starting her professional career as a lifestyle feature writer and most recently co-founding the first solution-led blockchain lab, StateZero Labs, Tazz’s possesses a hugely varied repertoire of expertise and experience. She has spent the last seven years focussing on brand, strategy and marketing across law, finance, design and adtech sectors. As one of the founding members of three separate start-ups, Tazz is now a mentor to over 200, predominantly blockchain, other start-up companies, sharing her experience and advice with them, as well as speaking at numerous summits and conferences. Tazz also recently attained the shortlist for Entrepreneur of the Year 2019 at the Women in IT Awards London, proving that she is undoubtedly one to watch this year. One of Innovate Finance’s Women in Fintech Powerlist 2016 and ‘Blockchain guru’ Helen Disney is an entrepreneurial force to be reckoned with. Having founded an impressive three companies so far, her most recent creation is Unblocked, an ingenious solution designed to bridge the gap between the technical world and business world, aiding people in their understanding of what Blockchain can offer their business. Before immersing herself into the world of fintech, she founded an events and research network of over 12 organizations called The Stockholm Network. As a member of the Executive Committee of the British Blockchain Industry Association, she knows everything there is to know about cryptocurrencies and blockchain. If you would like to find out more about how our Blockchain PR team could connect you with the right audience please get in touch with us today. Following a stellar year in 2018 and the success of our Show Us What You’re Made Of campaign, we are delighted to announce our new employee initiative for 2019. We have now opened applications for our inaugural PHA 5W Exchange Scheme which will take place in April of this year, with our US partner agency 5W Public Relations, based in New York. With their robust portfolio of clients and experience, New York-based 5W Public Relations is a multi-award-winning communications agency working with brands both established and emerging. 5W works with world-class and emerging brands across the corporate, consumer, tech, healthcare and not for profit sectors, as well as supporting high-profile individuals to help achieve their strategic public relations and marketing objectives across a broad range of interests. Global organisations are constantly looking to improve their communications strategies, needing responsive, flexible and often custom solutions in different countries. It’s no secret the rapid pace of change impacts different media landscapes. With this new partnership, clients, employees, and partners will have more options to address their specific situation, leveraging 5W Public Relations and The PHA Group’s extensive network and region-specific expertise. Over the past 12 months, both agencies have been working to form a mutually beneficial partnership for clients which is flourishing. To complement this, we are proud to announce a new employee initiative as a further development to our partnership, The PHA 5W exchange Scheme. Our relationship with 5W has grown considerably in the past 12 months, with several shared clients and two successful trips to each other’s offices giving both agencies the ability to build close working relationships and learn from each other. The Exchange (Scheme/Program) extends this partnership further, giving those that work at both agencies an incredible opportunity to experience life in an overseas PR agency. We see the exchange scheme as a huge benefit for all our staff and ultimately our clients. The communications landscape and industry are forever changing. This initiative not only benefits our employee’s progression and development but widens the international network and reach that we can provide to our clients on both sides of the Atlantic. We are excited to see what we can achieve as we progress in our new partnership with 5W Public Relations. Our first exchange will be taking place this April, where eight lucky employees (four from each agency) will embark on a journey across the pond. Keep track of their progress and read our regular updates to find out what our teams will be getting up to. Are you looking for a new challenge? Do you want to be part of an award-winning team? Visit our careers page for all our latest opportunities. Kylie Jenner has been taken off the top-spot for the most liked photo on Instagram by a very unexpected influencer; an egg. This is not a metaphor, or fake news. It truly is your standard egg. @KylieJenner’s Instagram account has 124 million followers and she has posted almost 6000 times! Whilst @world_record_egg has posted only once and has 5.5 million followers. This single egg post has received 45 million likes at the time of writing this which is incredible considering it was only posted less than two weeks ago. This may seem puzzling, but users have shown signs of rebelling against influencers such as the Kardashian/Jenners for some time. We feel this egg has done so well because of the ‘first follow theory’. In a nutshell (or maybe an egg shell would be more appropriate for this article) this means a leader liked the photo and others followed suit. As more people join the initiative, it actually becomes riskier to not join in. you can read more about this theory here. The egg also exposes how many users enjoy mocking the consumerist world we have created and would sometimes rather root for the underdog. With this in mind, when choosing an influencer to represent your brand or indeed positioning yourself as an influencer yourself, be sure to remain authentic. The world of influencers is a minefield and contributes massively to the ever-changing dimension of social media. Consumers crave content that is genuine, and the cast of Love Island drinking the latest herbal tea just isn’t going to cut it anymore. Some fashion and beauty brands have noticed this and have come up with a short-term solution for creating more influencer content that seems three-dimensional. Brands such as Benefit and Revolve pay for small groups of influencers to go on holiday together. This way the brand can control the content that is put out, and create behind-the-scenes footage whilst capitalising on several large followings. The reason we have called it short-term is because it will not be long until more brands use this method, our feeds become dominated by these group trips, and consumers soon reject this as too contrived. Although the content is of a better quality with more layers and variety compared to your average solo influencer advert, when a company brands an entire vacation for a group of ten ‘Instagram models’, can it truly ever be considered genuine? These trips are truly extravagant with brands spending well over £300,000 on the holidays alone, it is no wonder a large group of users already resent this kind of consumerism. Of course, there are also users who still aspire to be influencers, and are going to desperate lengths to trick brands into sending them free products and even paying them for adverts. These users are posing their posts as sponsored, when in actual fact they have paid for the product just like any other customer. These users then approach other brands boasting of their past collaborations. As they say, “you have to fake it to make it!”. Traditional CVs and payslips are not always in place, brands are unlikely to ask for any proof of an influencer’s past experiences which is why before you exchange money for a collaboration, you should always do your research. As the need for authenticity increases, bot accounts have also decreased. Last year Instagram culled fake followers and even removed fake likes and comments from people’s posts. Twitter also deactivated millions of fake accounts last year, much to the despair of high-profile celebrities who saw their following decrease almost overnight. Katy Perry, who has the most-followed account on Twitter, saw her following drop by 2.8 million! If an influencer has 50K followers but 5% of those followers are fake and they are paid £10,000 for a sponsored post, that means £500 was essentially wasted. Social media platforms often receive a lot of criticism for not putting their user’s first, but this is certainly a step in the right direction from a business account perspective. Social media users are becoming savvy to spotting fake accounts independently too. Sometimes it is obvious, for example if an account has 50k followers and yet only 100 likes on their latest post it is very likely they have paid for those followers. If you want to go a step further to be sure, there are also apps such as HypeAudior and Fake CheckCo that can tell you what percentage of an Instagram account’s followers are fake. When did users become so obsessed with the number of followers they had? Here at PHA Social, we value engagement rates much more because this essentially reflects how much your followers value the content you post, which is much more important than the vanity of being able to boast about having thousands of followers. Imagine having a birthday party and 100 people turn up but only four of them actually like you; it would be quite sad right? Which is why your following should reflect quality over quantity. There is no shame in being a small fish in social media, after all users with less than 10k followers make up 80% of social media accounts. Being a part of that 80% makes an influencer more relatable and trustworthy, which is why micro-influencers are becoming a more popular option. Micro-influencers are also more likely to interact with their followers and respond to direct messages and comments; brands will definitely get more for their money. 77% of them are said to post every single day after all! Speaking of money, with a smaller following comes a smaller fee too which is great news for businesses who do not have the budget required for big collaborations. It is no wonder organisations such as Forbes have named micro-influencers as the future. In conclusion, previously unrivalled influencers such as Kylie Jenner may now have some serious competition as brands realise the largest following doesn’t necessarily mean the best results. There are so many options out there and for too long brands have picked from the same pool of influencers. We hope you now know how to spot a fake influencer and have a new appreciation for micro-influencers. With billions of social media accounts, it can be daunting to pick the right influencer for you or stand out from the crowd. If you need help from a business or individual point-of-view, we are of course here with the best advice for you. According to statistics, 29 million people in the UK drink alcohol. Once the festivities and gluttonous excess of Christmas are done, it is no wonder that the idea of abstaining from alcohol becomes extremely appealing. Queue one of the simplest, yet most ingenious campaigns of all; Dry January, launched in 2012 by Alcohol Change UK charity. This campaign had one unassuming intention, to change the UK drinking culture by encouraging people to avoid alcohol for the entirety of, arguably, the most depressing month of the year. So, with over 4.2 million of us planning on taking on the challenge this year, what have the charity done in order to take this campaign to its current heady heights? The Dry Jan app appeals to every participant of the campaign. Whether you are doing it to save money, lose weight or raise money for charity; it not only tracks your units saved, it also shows you the calories and money saved too. It also gives you the option of donating a percentage of your savings to families and communities suffering from alcohol harm, quickly and hassle free. There is the option of signing up to regular support emails, which provide you with motivation just when you need it most. The app is incredibly user friendly, and has a handy calendar, which allows you to mark each day with progress, documenting whether you ‘stayed dry’ or ‘had a drink’, giving visual incentives to keep you going. The Dry January social media channels are well organised and incorporate engaging content, with celebrity ambassadors, case studies and shock tactics aplenty. Interestingly, Dry January and Alcohol Concern have separate social media accounts, whilst there are millions of people taking part in the campaign, the follower figures for the Dry January account do not, in fact, particularly reflect its popularity. With regards to the website, Alcohol Concern have a variety of tactics put in place to persuade and inspire. With a frequently updated blog, the charity offers advice, light content such as the guide to the best non-alcoholic alternatives, as well as personal reflections explaining why the campaign is of such importance. Fundraising has always been encouraged, but not compulsory for participants of Dry January. In 2016, Alcohol Concern partnered up with Virgin Money Giving, allowing supporters of the campaign to fundraise for their chosen charity – which can be any one of 12,000 charities registered with Virgin Money Giving – including Alcohol Change UK. As a result of this shrewd partnership, not only are the funds raised now split 50/50 between two charities, but the public are incentivised beyond just thinking about their own health and finances. The partakers can help others, as well as benefitting personally. Official food and drink partners have also been brought in, including restaurant chain Strada, which has added a range of alcohol-free beers and wines to its menus, Britvic, fitness technology company Jawbone, Public Health England and The Telegraph newspaper. Whilst this campaign has transformed the way many of us tackle the start of our year and is promoted as a change in attitude towards alcohol, the charitable element is sometimes lost in the background. However, with the introduction of the app and ease at which people can donate on it, people are now more aware than ever that the positive outcomes of this brilliant campaign are manifold. How has Alcohol Change UK’s campaign for Dry January taken the UK by storm? In the UK alone, more than 3/4 of children between the ages of 10 to 12 have their own social media accounts. So, 21st century adults entering the complex world of parenthood face a hurdle that has yet to be a concern for said group – protecting your children from the threat of adult content, unfiltered comments, cyber bullying, identity theft and predators. A rather large ask in this social media obsessed society. Luckily for parents up and down the country, help is at hand. Rather than risking the ‘FOMO’ backlash from your kids, you can now rely on safer social media alternatives that allow kids to be kids, socialising, sharing and chatting, just without all the risks. Here are our top three social network alternatives for young people, built with safety and age-appropriate socialising in mind. Whilst most of us were climbing trees and rushing home to watch Art Attack after school during our adolescent years, in 2013, 12-year-old Zach Marks was casually founding the social media platform, Grom Social, which now boasts 13 million users across 200 countries. Successfully making us feel like our teenage days were somewhat inadequate, Zach has also managed to create a platform which tackles issues that often affect young people using social media; bullying and a lack of safety. 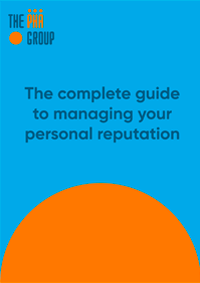 Each user interacts with other ‘GromAtars’, and with the site being monitored 24/7, if and when someone tries to post something inappropriate, a GromAtar will stop them and explain why the behaviour will not be tolerated. This concept of learning from ‘peers’ rather than seemingly out of touch parents is a brilliant way of getting through to kids, without patronising them. Parents also receive regular emails detailing their child’s online activity. Launched in 2001, Kidzworld is now the largest independent website for young people in the world and is hailed as a safe place where kids can enjoy, explore and learn. The focus on education is paramount for this platform, so Kidzworld is often popular with teachers, as it gives them engaging resources and conversation points to use in the classroom. One great feature is the ‘Dear Dish-It’ advice blog, which acts as a forum for kids to ask for personal advice about self-esteem issues, relationships, bullying, peer pressure and everything in between. Franktown Rocks is all about having fun and socialising through games. It incorporates a multiplayer online game for kids between the ages of 8-12. You can create your own characters, interact and chat to other characters all at once. Franktown is unique in that you can not only play games together, but can also make music, complete quests and watch videos. There is also a handy area for parents, answering any questions regarding safety that they may have. Is your brand in need of a PR or social strategy? Why not get in contact with us today to see how we can help you get ahead of your competitors and gain exposure in new markets. You would be forgiven for assuming that Weibo is some failed, preadolescent offspring of everyone’s favourite gone (but never forgotten) noughties social media platform Bebo. However, in the absence of Facebook in every Chinese city apart from Hong Kong and Macau, Weibo is in fact one of China’s most popular social media platforms, used by a quarter of the overall population, and counting. In essence, Weibo is a Twitter-Instagram-YouTube hybrid, hugely popular in China, boasting over 431 million monthly active users. With personalities across business, entertainment and sports, this hidden gem of a social media platform has already taken the Chinese social scene by storm. It even boasts an additional website, which reports on all of the current social trends and developments in the country, called ‘What’s on Weibo’. With such success in China, this platform must surely be on the cusp of bursting into the UK social scene? Since launching in 2009, the app accumulated around 72 million users in just three years, which is almost ten times the user base that Twitter accumulated in the same time frame in the US. Pretty staggering figures for a platform that the majority of us here in the UK have never even heard of. Weibo is progressive and very much has its finger on the social media pulse in terms of consciously moving away from heavily text-based content and leaning more towards visuals such as live streams, photos and videos. However, there is a slight catch that explains Weibo’s unprecedented success in China and limits its plausible popularity within the UK market. Since 2009, China has blocked more social media sites than Facebook alone, including YouTube, Twitter and Vimeo, hence leaving Weibo as one of the only platforms left for the Chinese population to get their social media fix. Having said this, the that fact remains that it is growing faster than any other major social outlet, and if a company is keen to tap in to the Chinese market, Weibo is undoubtedly the platform to do so. Companies such as Luis Vuitton, British Airways, Lancôme and Manchester United FC are ahead of the game and have already made this leap. Despite the evident disadvantage of having more competition here in the UK, Weibo has been creeping into the newswire and with China often at the forefront of technological innovation, perhaps it is safe to assume that social innovation will also be another string to their ever-advancing bow. Here at PHA Social, we are always looking for ‘the next big thing’ for our clients, capitalising on emerging platforms, in order for our clients to get ahead of their competitors and gain exposure in new markets. If your brand needs help with their social strategy, why not get in contact with us? Could Weibo be the UK’s next big thing? It was a brilliant night filled with celebration when The PHA Group were crowned PR Agency of the Year at The Drum Agency Business Awards. Over the last year we have really focused on what sets us apart from other PR agencies. In 2018 and after 13 progressive years, we took a step back and had a long hard look at ourselves. We’d come a long way, but our identity was lagging behind. Our website didn’t reflect the quality of our work and we had no unifying brand message to mirror the services we offer. This led us to a transformation that truly embodies who we are and what we do: Vibrant people who deliver. Simple. Our award entry for The Drum was simple. We set out our journey as an agency, relayed the challenges we had to overcome, the honest reflection of the changes we made and focused on the successes we had achieved by making the leap and rebranding as The PHA Group. But how did we do it? In October we conducted our first client satisfaction survey, using experts Question and Retain. Although nervous about what to expect, we were thrilled with the results. 94% of clients said they were happy with the service they received and 94% of our clients would recommend us. Our client retention stands at 100%. We pulsed our client database again in June to monitor our improvement and were delighted to find that 95% of our clients would recommend us and 89% of them would rate our creativity highly. Whilst our client survey was overwhelmingly positive, it did suggest areas of improvement. We invested in external training and created a ‘brainstorming room’ to stimulate creativity. We brought in Creative Directors with ad agency experience to run scamp sessions for campaign ideas. This fresh thinking helped us to win our two biggest pitches and raised the bar with creative ideation. We recognised that to get the best out of our people, we needed to empower them, and create a culture which will enable them to thrive. In recognition of our people, we launched our own internal campaign called ‘Show us what you’re made of’. We challenged every one of our employees to take on something they had always wanted to do in 2018, it could be personal or professional as long as it was important to them. As a result, so far this year we have had employees raise £5,000 at events, run marathons, complete the Etape du Tour, reconnect with family, volunteer over 100 hours and write a children’s book. 93% of people said that they’d refer someone to work at The PHA Group. On a scale of 1-10, our staff on average rated their work/life balance at 8. But creating a vibrant culture doesn’t stop there. At The PHA Group, we are committed to providing an excellent working environment for our staff, and continue to encourage and nurture growth for everyone. 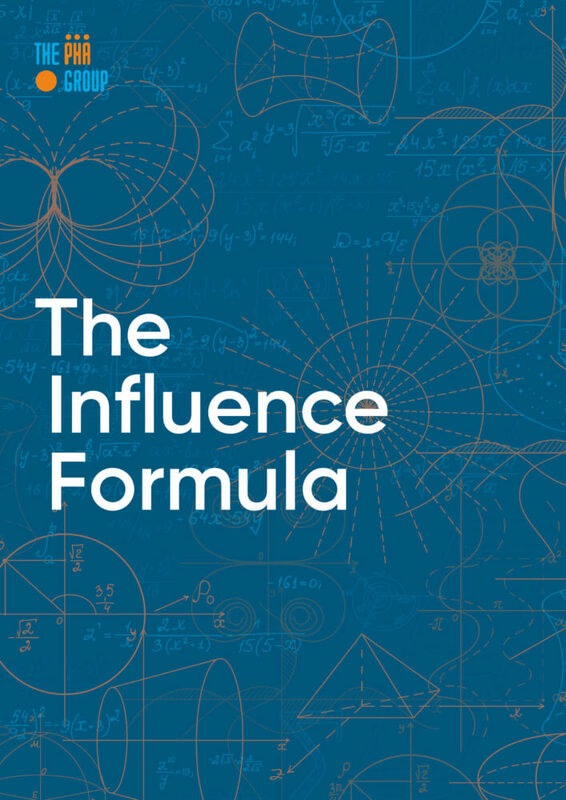 This year we launched the industry first ‘Influencer Formula’, a unique piece of research which involved a network of sector experts, PRCA accredited researchers and mathematicians as well as thousands of consumers. Through our research we determined 12 key drivers that enable a UK business or brand to influence an audience. As a result, brands can pulse themselves to determine a score against each element, allowing them to discover how influential their business is. Our work this year has reinforced our decision to put people at the heart of our business, and this has had a demonstrable commercial success.